Sam is currently playing Young Peregrine in Emma Rice's highly acclaimed production of WISE CHILDREN (Old Vic/UK Tour). 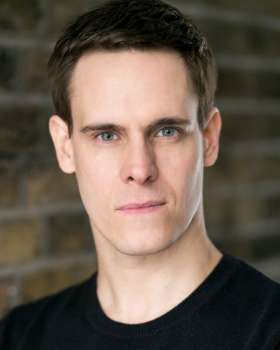 He has worked extensively worldwide for Matthew Bourne's New Adventures. He has starred in the leading roles of Ralph in LORD OF THE FLIES, the Prince in SWAN LAKE, the Pilot/Prince in CINDERELLA, Angelo in THE CAR MAN, Anthony in PLAY WITHOUT WORDS, Boris Lermontov in THE RED SHOES as well as originating the title role in the original production of EDWARD SCISSORHANDS. Further theatre credits include: AN IDEAL HUSBAND (Vaudeville Theatre/Oscar Wilde Season), WONDER.LAND (Manchester International Festival/National Theatre), LA BOHEME (Royal Albert Hall), Arthur Pita's METAMORPHOSIS (Joyce Theatre, NY), James I in Richard Jones' GLORIANA (Royal Opera House), Badger in Will Tuckett's WIND IN THE WILLOWS (Linbury Studio Theatre), Charlie Paddock in Ed Hall's CHARIOT'S OF FIRE (Hampstead Theatre/Gielgud Theatre), the National Theatre production of EARTHQUAKES IN LONDON (UK Tour), Slim and Cover Curly in OKLAHOMA! (Chichester Festival Theatre), Valentine and Cover/played Bert in MARY POPPINS (UK Tour), Lulu in the original cast of WE WILL ROCK YOU (Dominion Theatre), Captain in OLIVER! (London Palladium) and JJ in BUGSY MALONE (Queens Theatre). Film and Television credits include: Disney's MUPPETS MOST WANTED directed by James Bobin, LIFE IS A BUFFET directed by Anthony Byrne, Goldfrapp's 'A&E music video', 'Party At The Palace' in commemoration of the Golden Jubilee of Queen Elizabeth II, Children In Need, Blue Peter and Series 3 of ITV's MR SELFRIDGE directed by Robert Del Maestro. Sam has also taken part in many workshops including: KRABAT, A German fantasy novel by Otfried Preußler, directed by Caroline Steinbeis at the National Theatre Studios, SHOES choreographed by Stephen Mear and composed by Richard Thomas, MADE IN DAGENHAM choreographed by Aletta Collins and THE PHANTOM OF THE OPERA Tour choreographed by Scott Ambler.